If you need a clean canvas for a new project, our trained arborists can help you get started. So you have a bit of land and know what you want to do with it, but it’s littered with tree stumps, fallen trees, hedges, plants and more? Getting a clean canvas can seem like the most daunting job before you have even started your project. Clearing the site and removing all that debris takes a lot of time and energy, especially if you lack the know-how and the equipment to do it in a safe and efficient manner. 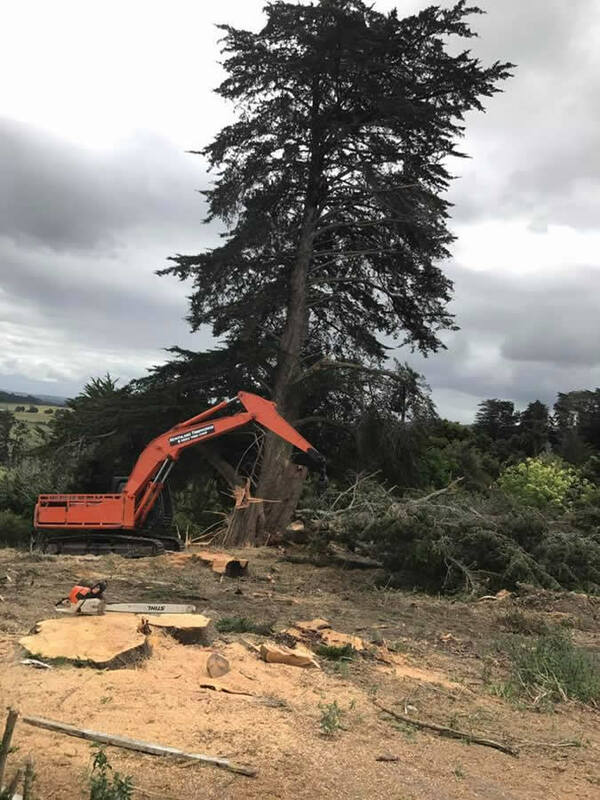 Here at Northland Treeworks, we can offer you high-quality services when it comes to site clearing, with the expertise and equipment to get the job done quickly and thoroughly. We will take care of the whole process for you, from consultation to finish, until your worksite is in a pristine condition and exactly what you need to get your project going. The right planning in the early stages can often save a lot of money and time and helps avoid unnecessary damage to the landscape. Our equipment includes heavy machinery such as excavators and diggers of all sizes, so no job is too big or too small for us. Our highly trained staff will also dispose of all types of debris and material, always adhering to legal, safety and ecological guidelines. Throughout the site clearing, we will ensure that the landscape stays protected and no harm is done to surrounding vegetation and property. In order to give you an adequate quote for your site clearing project, we will need to visit your site and make an assessment. We service Whangarei, Kerikeri, Bay of Islands and the Far North. Click here to request a quote.